Paola Livorsi (Italy 1967) lives and works in Helsinki since 2001. She studied composition in Turin, Lyon (with Philippe Manoury) and Helsinki (Kaija Saariaho and Jean-Baptiste Barrière). 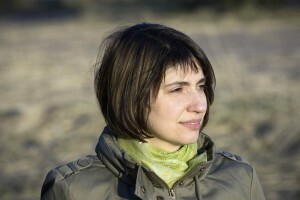 In 1999-2001 she went to Paris to study computer music at CCMIX (Centre de Création Musicale Iannis Xenakis) and IRCAM. Her music has been performed at renowned festivals for contemporary and computer music, such as Agora, Musica Nova and the Venice Biennale, by ensembles such as Klangforum Wien and the Arditti Quartet. She is interested in multidisciplinary projects, as in Self-portraits, silent voices (Silvia Reichenbach photography, Saila Susiluoto prose poems, 2011-12); Sense Disorder (Hilda Kozári image and smells, Helsinki Taidehalli May 2013 and Imaginary Spaces (2016) with Juho Laitinen (cello), Marek Pluciennik (live video) and Roberto Pugliese (sound image interaction). Livorsi is a member of MUU, Catalysti and the Society of Finnish Composers. She collaborates with the Aalto University Media Lab and the Sibelius Academy, where in 2015 she began her doctoral research ´Human voice and instrumental voice: a comparative study in timbral content´.